I was mesmerized by the all together different topography of the place. Then the vehicle for the safari is the mechanized boat /steamer which passes through different water channels or rivers flowering through the Delta region. One gets down on certain islands having interpretation Centers and Observation Towers for observing the wildlife on them including the tiger, monitor lizards. These are mainly Sajnekhal, Burirdabri, Dobanki etc. 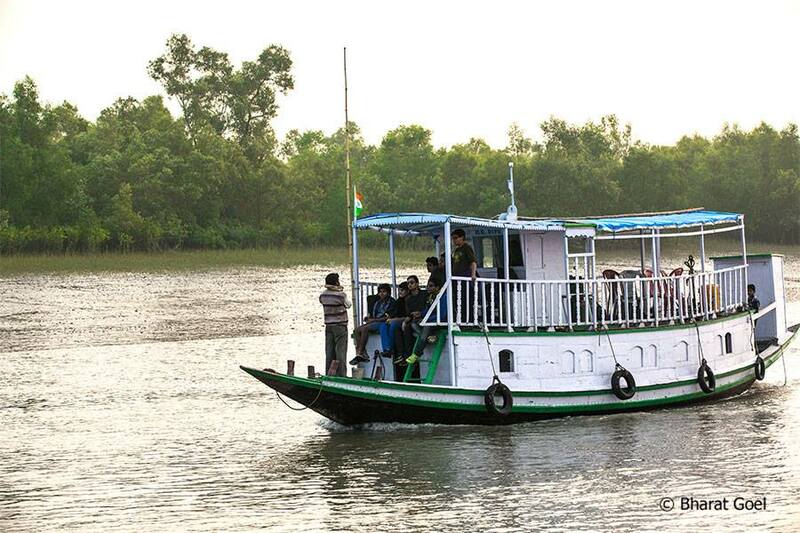 The stay at night is in the mechanised boat having stay facility or in some hotels or resorts on some islands. 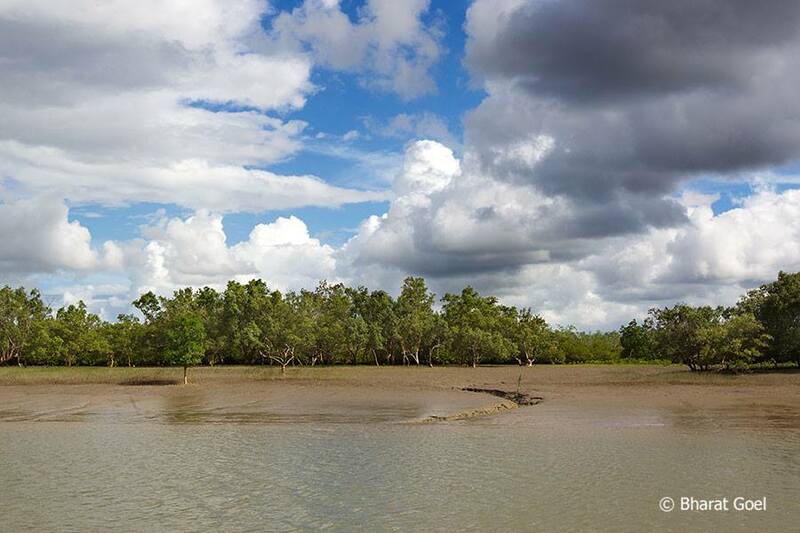 I remember Cyclone Alia struck Sundarban on 25th May 2009 and damaged the Field Camps and the bordering village. All the paddy fields were salinated and the growers could not sow paddy for a number of years. 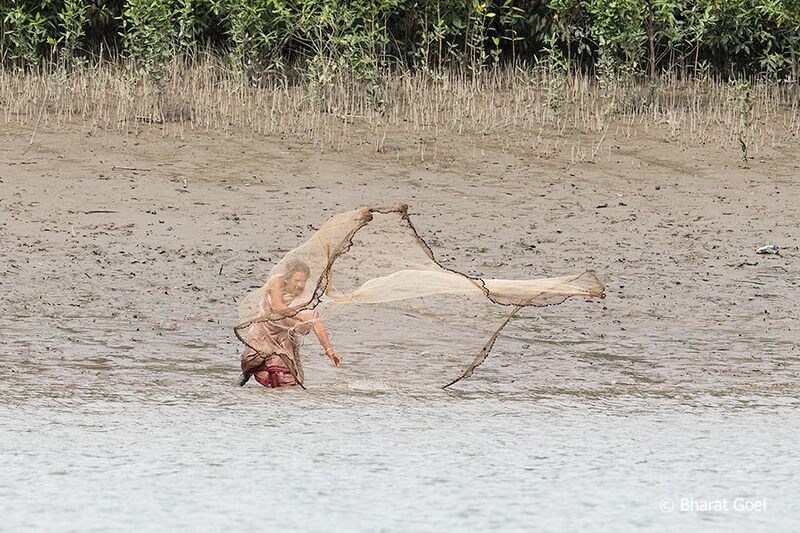 The tides were more than 20 feet and saline water entered into the villages. The effect of the cyclone was also felt in Kolkata as many of the old and big trees were uprooted. 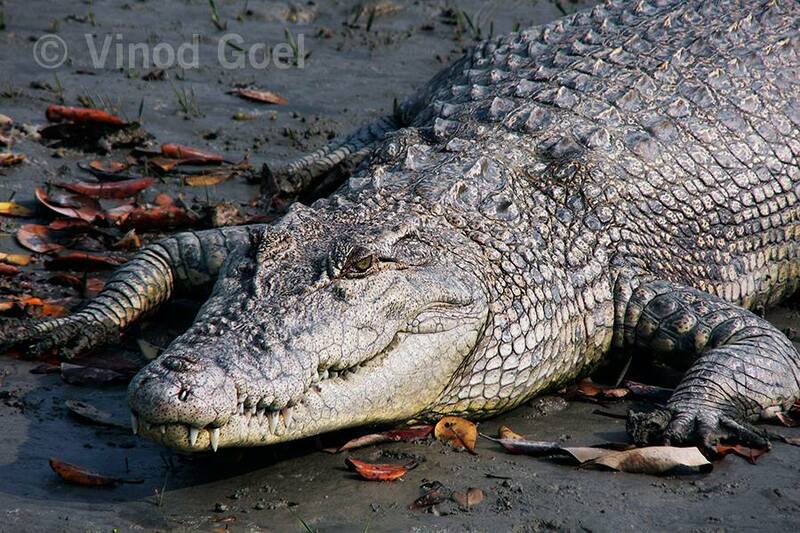 It is a home to Bengal Tigers, Estuarine Crocodile Dolphins, Monitor lizards, Turtles and migratory birds. In fact it is a paradise for the birders especially in winters. 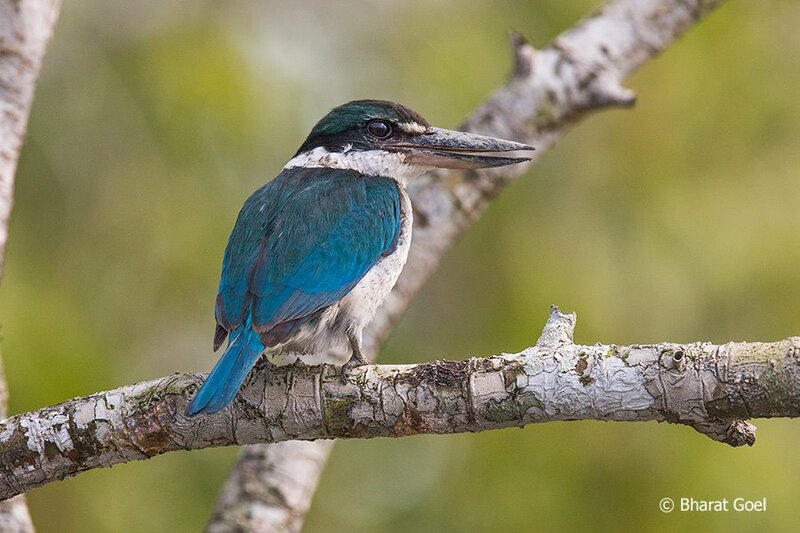 One is bound to see Curlews, Whimbrel, Sandpipers and Kingfishers and many other species of birds. We always go with a hope that a Tiger may appear and swim from one bank to the other bank. But it is a rarity. 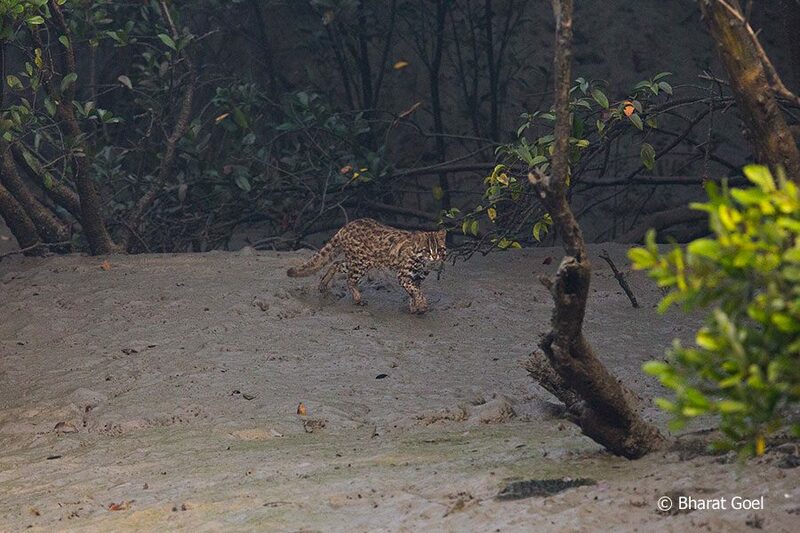 One has to got again and again to see the most elusive Big Cat of Sundarbans. It is easy to see the tiger in other parks of the country than Sundarbans. Do not get disheartend. I am still yet to see the same. 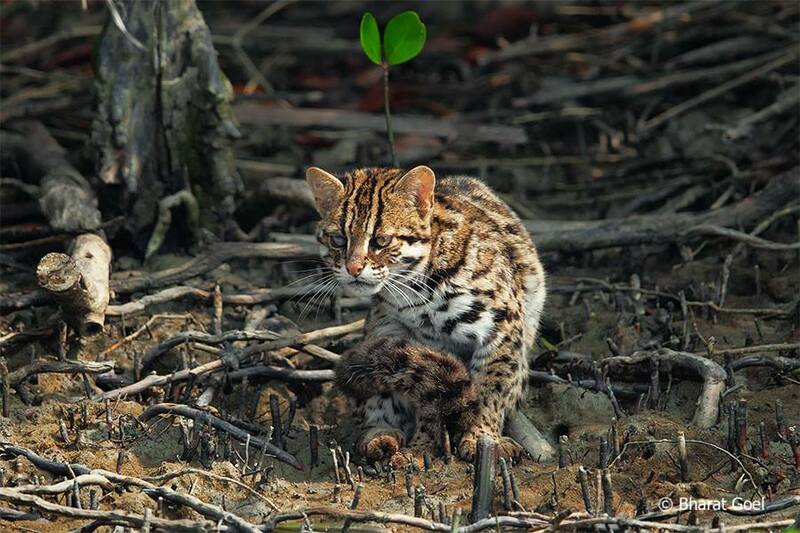 My son Bharat Goel who had been to the Sundarbans with the students of the Prestigious American School and the Modern School New Delhi a few years back observed LEOPARD CAT ,more rare than the Tiger. Just enjoy the most unique creation on the Mother earth. I am sharing some of the images from the park taken by me and my son Bharat Goel, over a period of 8 years.